This entry was posted in American Politics, Character and Integrity, Demoracy, Donald J Trump, Joe Bidem, The New Yorker, US Presidency, US Presidential Race. Bookmark the permalink. How many Democratic candidates are there? 20? From the Republican grapevine, the three Democratic candidates the Trump campaign advisers fear the most are Beto O’Rourke, Kamala Harris, and Good Old Joe Biden, not necessary in that particular order. But based from the frequent early attacks on Beto O’Rourke, I think O’Rourke is the one they fear the most. He seems to generate that liberal grassroots energy without being particularly in-your-face with his points of view. O’Rourke has political gifts that can’t be taught and may be the most charismatic figure in the entire race. Some of Trump’s advisers view Harris as a major threat because it’s obvious to them that “Trump hasn’t figured out how to talk about her.” Harris has wide appeal with Democrats across the spectrum. I know her in 2004 when she was the District attorney of San Francisco. She is half Tamil. I wish her good luck. 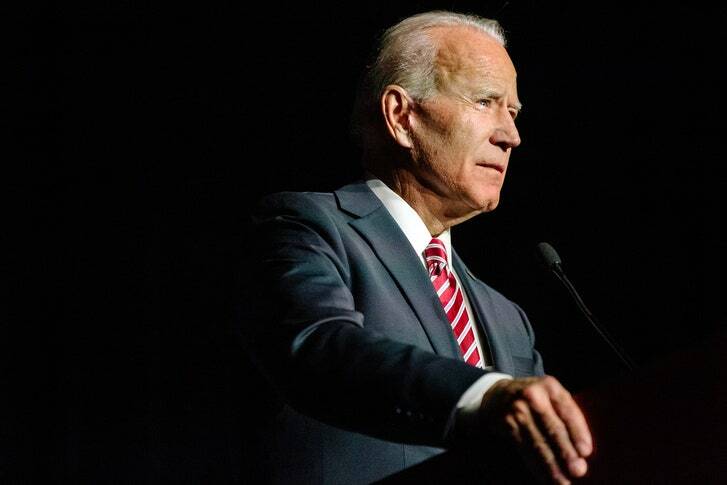 Trump campaign advisers fear Biden because Good Old Joe is ” a lot harder for them to demonize.” Biden does appeal to the Rust Belt and Democrats who voted for Trump in 2016 Biden is also the most prepared and credible to make the argument that he can clean up the Trump mess on day one. if Good Old Joe becomes the nominee, I believe he will pick a younger running mate like Harris or O’Rourke. If Biden isn’t the nominee some combination of Harris and O’Rourke on the ticket would not be shocking. I would bet my money that the next POTUS is one of these three candidates. I have ruled out Bernie Sanders because he still hasn’t shown that he can appeal to rank and file Democrats and there is tons of resentment toward Sanders left over in some Democratic circles from the 2016 primary campaign. Trump campaign advisers would love to run against Sanders because he would allow them to paint all Democrats as extreme socialists and make the race about Sanders instead of Trump. With the Mueller report supporting no collusion, it means the divide between the far left or “progressives” and far right will be even bigger. The vitriol is only going to get louder and louder. The issue is does the middle and independent still king maker in American politis or the far left has dominated the voter demographic of Democrats? If the middle still are the kingmaker, Biden should have a clear path provided he can raise the decibel of his message as loud as the far left.